This thread is to discuss everything about the myBrickset app for Android (bugs, feature requests, anything really). For starters, myBrickset is an Android app that syncs with brickset.com for both set information and your owned / wanted sets. It does not require an internet connection (except for updating) and can be used entirely offline - great for browsing prices when out shopping. When connected to the internet, the app will seamlessly update itself with the latest sets from mybrickset.com as well as keeping your owned & wanted sets in sync with the site. After first logging in to the app, please allow approx 30 seconds for it to download your data from brickset.com. Unfortunately version 1.0 of the app does not show an icon whilst syncing, this will be fixed for the next release. The app has been tested on as many devices as I could get my grubby little mitts on, but unfortunately there are issues with some devices. 1. Go into Settings and activate 'force refresh' then press the 'Refresh' icon on the main screen (this causes the app to override Android's background sync options). 2. If it still doesn't work, go into Settings and activate 'manual refresh' then try again (this causes the app to ignore Android's sync service and do it the old fashioned way). I currently have reports of the app crashing on Motorola Droid 2.2.3 and Samsung Galaxy Tab 2.2, I'm looking into these but don't have an eta on a fix yet. I have a simple web page at otissoft.co.uk/products/mybrickset/buglist.html which I'll try to update with known issues & fixes. Forgot to include the link to the listing on Google Play! 1) On Mybrickset apps: Settings - Force Refresh (checked) = works. 2) On Phone Settings - Accounts and Sync - myBrickset - Sync Brickset = works. myBrickset apps works perfectly fine. So far so good. Thanks for the great & most importantly free apps. Downloaded the app from Google Play last night. Works fine on my Samsung Galaxy Gio (Android 2.3.3). @wildobagins - that's an odd one, my best guess would be that it experienced a timeout when pulling down your data. If hitting 'refresh' doesn't fix it for you, please mail me (contact details in link in first post) and I'll send you a debug version with additional logging so I can see what's going on. Here's the apk for those that want to side-load. Its pulling through all my wants and 1 of my haves, it may be worth noting that all my lego gear is SW based. Google Play doesn't support the HTC Desire Z (yet). Is there another way to get this Android app? I've got Android 2.3.3. @wildobagins - could you follow the steps here under reporting a bug to get me the log files please? I'll try and figure out what's causing the problem and get it fixed for you. @Galactus - Please check my last post, it contains a link to the apk that you can download and install manually (you'll need to enable 'Settings | Applications | Unknown Sources' on your device). Grreat app, thank you. Using it on my HTC Droid Incredible and it syncs instantly with anything from the website (tested it by adding new things I own on different deviced) This is so great to have my collection in my hand while shopping. Thank you! Have I missed it, or is there a way to sort what I own by set number and theme? Right now, mine is only showing alphabetically. @red237 - glad you like the app! The current version doesn't allow you to sort results (I wanted to release basic functionality so people would have something rather than waiting for the 'perfect' version) but I hope to add it in shortly. @ravendragonwing - hmm, sorry it's not working. I take it you can log in, as you said you've tried syncing manually. Are you able to view any sets? If not, and the app crashes as soon as you try, it's possible that the database is corrupt - uninstalling and then reinstalling will hopefully fix this. If not, could you uninstall and then try manually installing 1.2 beta 1 and see if that helps? If you're not comfortable installing apks, then please try 1.1 from the market. If you still have problems, please follow the steps here under "reporting a bug" to get me the log files so I can try and figure out where the problem is and fix it for you. Sorry, wrong link. This is 1.2 beta 1. The 'report' button on Android doesn't really help much, and doesn't give me a dialog with the person who has the issue so I can't try several things if my first guess doesn't help! but at least I am not getting the forced close error any more! Can you please mail me your logs? Thanks! @ravendragonwing - I've seen your comment and 1 star review on the market. I'm trying to help you, but I can't unless you let me! I'm not a professional app developer and this is done in my own time and at my own expense, and as such I only have limited devices to test on. I'm really sorry it doesn't work for you at the moment, but without your logs all I can do is work through the anonymous reports that Google gives me and hope I fix your issue (which is difficult, as how can I test a fix without being able to test a failure?). Also, as the reports are anonymous I cannot prioritise your issue (cannot use the app at all) over a random issue (which may be an occasional force close but the app is usable). Please send me your logs so I can see what's causing the problem and try to fix it for you. Got them thanks, I'll be in contact via email. 1.2 is being pushed out to Google Play as I type, the standalone apk is here. This should resolve the 'crash on launch' issue on any devices that still experience it. Additionally, better error checking now exists to try and detect (and automatically correct) bad installations before they cause problems. Database performance is improved, and background syncing has been reworked a little. Both of these together should cut down (and hopefully remove completely) the number of database inserts failing due to locks. As always, please let me know of any problems by posting here or emailing [email protected] and I'll do my upmost to help. 1.3 is live now on Google Play, all screens are now compatible with landscape mode so this should make the app usable on devices with slide out keyboards. It also fixes a sync issue which just started (it's only a problem when new themes are added to the database) which is why the update comes so soon after 1.2. After some more usability testing I'm not happy with the look of the search screen in landscape mode, so a new update will be coming to fix this. It's not a major problem though, so I'll try and get some feature requests fulfilled before pushing out the new release. There are a couple of 4 & 3 star reviews on the market, and one complaint that sync didn't work. Please let me know (by posting here or emailing me) if you have any problems and I'll get them fixed for you. Wohoo - over 1000 installs and growing daily! There won't be any new releases for a few weeks because of personal commitments, but please keep sending me your feature requests etc (even if it's something already on my list, the more requests I get the higher up the list it goes). Would it be possible to add a settings option to allow "Sets Owned" etc. to be sorted by set number instead of alphabetically by set name? @legopants - yup, this will hopefully be in the next release. Development is currently suspended because I've moved house and don't have anywhere to put the PC until decorating & unpacking are complete, but hopefully I'll be able to start work again soon. Thanks for the info. I look forward to the next release. Excellent app by the way!!! That's an awesome app. Great work. If I could add one suggestion for later on down the road. Is it possible to have the ability to break things down into "themes" so I can choose to see which sets I have in that theme opposed to them all coming up at once. PS - this will be my new favorite app. @Brick_Obsession - sure, I love suggestions :) I'd rather write the app people want than the one I think they want! 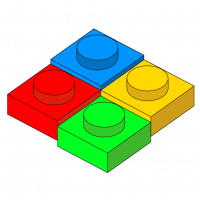 I'd like this to eventually become 'the' Lego app on Android, but there's a lot of work yet before it gets there. ATM you can search for sets you own in specific themes, or do you mean that you want the results grouped down by theme? I'm implementing sorting atm, so it'll soon be possible to sort by 'theme', 'year' etc instead of 'name'. Not sure if I could then put a little header above each 'group' saying what the theme is.. it must be possible but I'll have to experiment! The latest version of myBrickset is now available as a Release Candidate for those who would like to have a play. What this means is that I have tested it thoroughly myself and believe it's stable and bug-free (ha-ha-ha!) but I'd appreciate input from other users especially those with different hardware to myself before I make it available to everyone. There's a lot of new functionality, including barcode scanning, syncing notes and the ability to sort results. Several bugfixes and performance enhancements are included too. You can get the apk here. Downloaded new apk, after quick play all looks good on Samsung galaxy note. @RikTheVeggie The RC looks good - going to test the scanner function later. Any chance we can add the ACM data to the app? Love the Bricklink button! @Chooch - what's ACM data? And is there a source that will grant me permission to use the data royalty free, storing a full copy offline? You would have to ask an Admin it you can access that information, but it would help when I was out shopping to see what I previously paid for a set and if I'm getting a good deal. It's just a request - nothing major. The ACM data isn't exposed through the API yet, but if there's demand I could be persuaded to add it. @Chooch - thanks for the clarification. Notes should already be in the RC and I'll add the other stuff if and when the data becomes available through the API (but probably not until 1.5 anyway unless the changes are really quick & easy). @Huw @RikTheVeggie - I don't think the ACM data is a huge requirement for the app - I think once it's solid and the list of other requested features are added, ACM would be good for those of us with OCD/ADD that like to have all of our information available. I'd like to see set prices in the search view. If I'm in a toy store, looking at the list of items released in 2012, I still have to select each one to see the MSRP. Next logical step from there - I'd like to be able to set my default currency. Unless I'm in a different country where I'd need to see prices in a different unit, I'd like to just see USD (especially in places like the search view where space is at a premium). Next thing I'd like - price-per-part values listed on both the set listings and the search tab. I see myself using this as my main search for all of the online LEGO DBs - I like the Brickset and BrickLink links, but adding LUGNET Guide and Peeron links would be nice too. I'd also like to see the set view contain all of the info on the website's site view. That could be a bit much to download for offline use, but at least while I'm near WiFi it would be nice. Thanks - I'm really loving this app! Never thought about putting prices on the set list - didn't think people would be viewing whole lists at once! I'll see what I can do, maybe adding just US for now - I'm planning on incorporating searching sites for prices, so will add the ability to set default currency then. Being a non-US resident I like seeing all prices on the details page so I know how much we're being diddled and whether it's worth saving up for a cross-border trip! Price per part should be quite simple to calculate and include if I can find space for it (removing non-default currency prices should do this). Links to other sites should also be possible, but maybe on a sub-menu or popup-menu - I don't want the screen to get too cramped, and there's no point displaying links that can't be used unless there's an active internet connection. 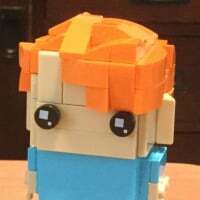 I don't have access to reviews, alternate images etc through the API, but I do provide a link to Brickset for additional info. I could link to the main site instead of the mobile site, but I think that'd be too much data on too small a screen for most people to handle. It's been a while coming, but myBrickset 1.5 is finally ready. Please install and let me know if you have any problems (or if it works!). All going well I'll push out to Google Play a little later this week. Please keep your feature requests coming in too, I know I didn't get chance to implement many in this release but I'll do my best for the next! And finally.. please please please leave a review (preferably positive :) ) on Google Play. I'm up to 7500 unique installations and 89 reviews - let's see if we can make it 10000 and 100 by Christmas! Loving the app, it's come a long way - thank you. Having installed this update however, it freezes and crashes out with a screen rotation (otating the handset). I'm using a Galaxy Note running ICS. Many thanks for the update @Legoboy, I've recreated the issue on the Sets screen (search results) so I'll take a look at fixing it when I get home from work. Is it just this screen that's giving you problems or does it crash on other screens too? ^ The 'welcome' screen rotates without crashing, but having entered into any of the 'list tabs', whether it be Sets I Own or CMFs I Own or anything like that, the screen turns black and crashes out of the app when the screen rotates. It was only because I was naughtily trying the update out this morning whilst sat in traffic this morning driving into work that when I turned the steering wheel whilst holding the phone it caused the screen to auto-rotate. I don't usually have rotation enabled on my phone, and didn't think I'd done anything which would involve needing to test it again (silly me, should've learned by now!). It was a simple fix once I figured it out (followed too much of my IDE's refactoring advice - turns out that if certain types of classes aren't public it causes all sorts of strangeness in Android). Many thanks for testing the app and reporting the bug, I'm sure you saved me a few emails and negative feedback! Bottom line though, whatever box you just ticked has worked and I can no longer replicate the problem. An absolutely fantastic app. Thanks again for developing and moreso for continuing to do so. J.